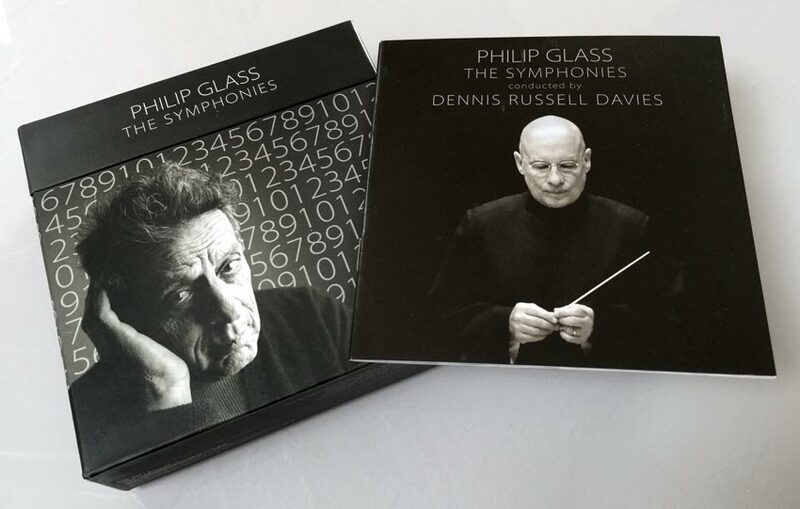 Great to see my portraits of Philip Glass and Dennis Russell Davies on the cover and booklet of the upcoming limited edition Philip Glass Symphonies Box set. This eleven CD box set from Orange Mountain contains Philip Glass’s complete symphonies performed by five world-class orchestras. Glass’s long term collaborator, Dennis Russell Davies, conducts all ten symphonies, beginning with the Basel Symphony Orchestra’s recording of Symphony No.1 from 1992 and concluding with the Bruckner Orchester Linz’s recording of Symphony No.10 from 2012. This beautifully packaged collection is a must-have for any Philip Glass collector.